INCLUDES FULL AWNING, AIR PORCH AWNING & FULL COVER! 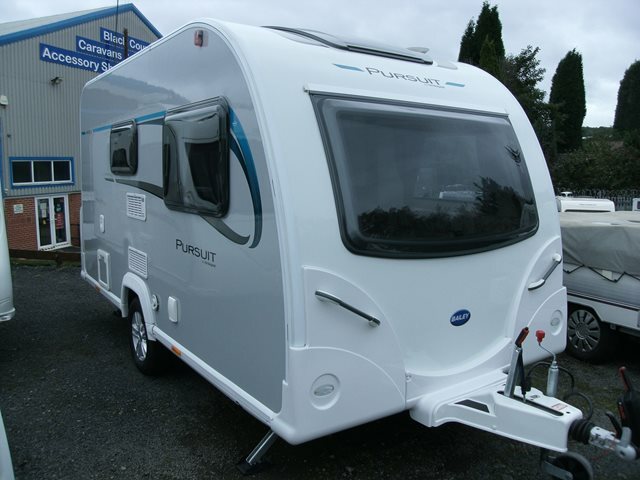 If you want a compact and lightweight two berth van then look no further than this Bailey Pursuit. The 400-2 features two large bench seats, central kitchen and end washroom. This modern caravan from Bailey looks great inside and out and includes a full awning, Kampa air porch awning, full winter cover, panoramic front sun roof, CD/radio player, fridge, microwave, blown air heating and AL-KO ATC stability control. This Bailey is in excellent condition so come and check it out at our Cradley Heath depot. For further information please contact us on 01384 413336 and ask for a member of the sales team.